The global market for over-the-counter diagnostics is expected to witness a noteworthy growth in the next few years. The market deals with the medical kits that are being used across the globe for diagnosis of medical disorders and conditions. The rising preference of consumers to use these devices instead of visiting hospitals and healthcare facilities is one of the key factors estimated to encourage the growth of the global over-the-counter diagnosis market in the next few years. In addition, the easy availability and the easy use of these products are projected to accelerate the growth of the market. The key players operating in the over-the-counter diagnostics market across the globe are emphasizing on enhancing their market presence. The enhancement of the distribution network and channels and the adoption of effective marketing strategies are projected to contribute towards the development of the market in the near future. Furthermore, the growing focus on development of new product and research and development activities are anticipated to supplement the market’s growth in the next few years. Furthermore, the rising preference for self-medication, especially in developed economies is expected to boost the demand for over-the-counter diagnostics in the coming years. However, the lack of knowledge regarding the use of devices in under-developed and developing economies and the high cost of products are considered as the key factors predicted to hamper the growth of the market. Nonetheless, the emergence of easy-to-use products and the increasing expenditure on advertising campaigns are projected to fuel the growth of the global over-the-counter market in the next few years. 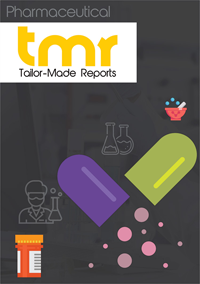 The research study on the global over-the-counter diagnostics market offers a comprehensive analysis, presenting insights into the key factors that are likely to impact the growth of the market in the near future. The key segmentation provided in the research study helps the readers and players to attain a strong understanding of the global market and make effective business decisions in the near future. The leading regional segments have been highlighted in the study, along with the anticipated growth rate have been mentioned in the study. In addition, an in-depth analysis of the competitive landscape of the market has been discussed at length in the study. The rising geriatric population worldwide and the growing prevalence of several disorders are some of the important factors that are projected to fuel the growth of the global over-the-counter diagnostics market in the forecast period. In addition, the growing number of women of reproductive age is another factor likely to boost the demand for over-the-counter diagnostics, including pregnancy kits, which will accelerate the market growth. Furthermore, the tremendously rising number of blood pressure and diabetes cases across the globe is one of the vital factors estimated to encourage the growth of the global over-the-counter diagnostics market in the near future. The high rise in the demand for blood pressure devices and blood glucose meters is the major factor fuelling the growth of the market. The global over-the-counter diagnostics market can be categorized in terms of geography into Europe, Asia Pacific, North America, and the Rest of the World. Among the key geographical segments, North America is estimated to lead the global over-the-counter diagnostics market in the next few years and hold a massive share. The high growth of this region can be attributed to the presence of a large number of players, who are focusing on the expansion of their product portfolio. In addition, the increasing adoption rate, owing to the rising population are some of the other factors anticipated to accelerate the growth of the North America market in the near future. Furthermore, Europe is projected to remain on the second position in the global over-the-counter diagnostics market in terms so revenue. Asia Pacific is expected to follow Europe and witness a significant growth in the next few years. The growth rate and market size of each region have been included in the scope of the research study. Some of the prominent players operating in the over-the-counter diagnostics market across the globe are Bio-Med USA, Inc. Johnson & Johnson, GE Healthcare, Omron Healthcare, 3M Healthcare, Medtronic, Inc., Hoffmann-La Roche, Philips Healthcare, Piramal Healthcare, Abbott Laboratories, and ResMed, Inc. A significant spike in the number of players entering the market is expected to toughen the competitive landscape throughout the forecast period.